So your home’s on the market and you’re ready to host your first — and hopefully last — open house. While you probably did a lot of cleaning, decluttering, and depersonalizing to prep for pictures that illustrated the listing, you may have neglected some areas that weren’t featured in the photo shoot. If that’s the case, now’s the time to treat those spaces to a little TLC since they will be on full display. Here are a few ideas to get you started. Create curb appeal by paying special attention to the things people see before they even come inside. You can give your home an almost-free makeover, and a higher sale price, by scrubbing down the exterior. You’ll need a little elbow grease, a bucket, some soapy water, and a soft-bristled brush with a long handle to clean wood, vinyl, metal, stucco, brick, and fiber cement siding. But the effort is well worth it. In fact, it could boost your sale price by $10,000 to $15,000, according to information from HouseLogic. From there, consider replacing your mailbox and adding architecturally interesting address numbers to make your home’s entrance as inviting as possible. You may also want to invest in a new front door, especially if the one you have has seen a few too many trick-or-treaters in its time. Installing a new steel entry door costs $1,471, but homeowners could expect to recoup 91.1 percent of their costs, according to a survey from Remodeling Magazine. And don’t neglect the garage, especially if it’s a prominent feature in the front of your home. Replacing a garage door costs $3,411 on average in 2018, but homeowners could expect to recoup 98.3 percent of the project’s price. If your open house is right around the corner and you don’t have time to replace entryways, spruce them up with a fresh paint job and add new hardware. Then place some pots packed with colorful plants near your front door in advance of the big day. While you may be able to manage routine cleaning under normal circumstances, it might make more sense to hire a professional to deep clean before an open house. Many cleaning services invest in specialized equipment to clean carpets, furnishings, and windows, and can take care of tasks that aren’t on your regular chore list. And hiring help, especially if it’s for a one-time deep clean, doesn’t have to cost a fortune. In fact, most homeowners spend between $122 to $167 nationally when hiring a cleaning service. And the expense will probably be well worth it when you — and prospective buyers — see the results. Plus, you can spend the time you would have devoted to cleaning packing up more personal items, including valuables you don’t want on display. 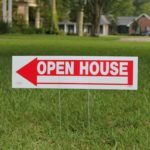 Once you have a date set, be sure to promote your open house online since more than 90 percent of potential buyers peruse properties on the internet. If you are trying to sell the house yourself, you’ll have to take care of the task. Otherwise, your agent should list your home through a number of avenues, including the Multiple Listing Service and Zillow, among others. Once your listing is online, it doesn’t hurt to review it for grammar mistakes, mistyped open house dates, and other errors. After you check it, be sure to share your listing through all your social media channels. After all, you never know if your home could be the perfect fit for a friend of a friend. 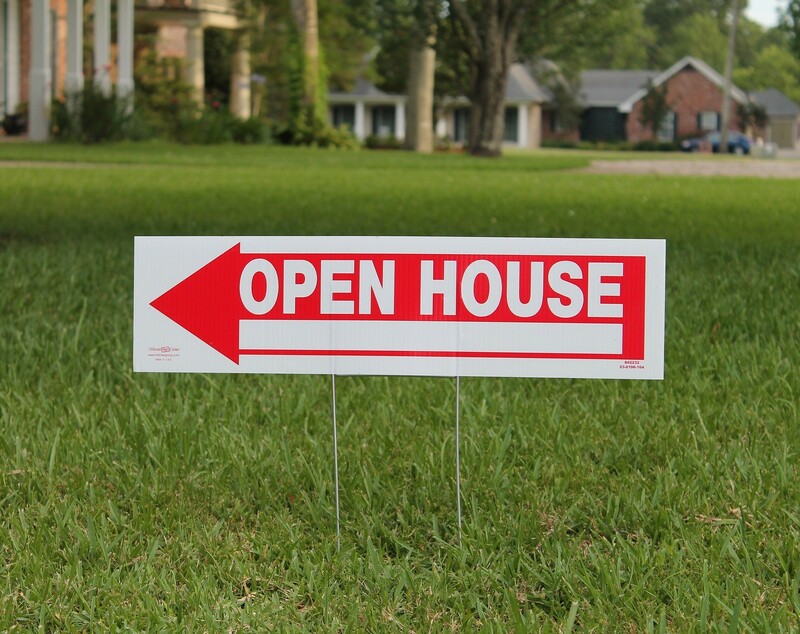 However, don’t discount the power of an old-fashioned open house sign and other printed material. Post signs in your yard and at major intersections nearby and boost visibility by tying on a few colorful balloons. Some agents even send out flyers to neighbors who might know someone looking to buy in the area. Finally, potential buyers who visit the open house should get a flyer or brochure to remind them of the home’s high points. If you try these tips, hopefully more than one of them will be back with a bid to buy.